Paint is thick, creamy with satin finish; good pigment load. Colors glide on smoothly, dry quickly, and stay vibrant. 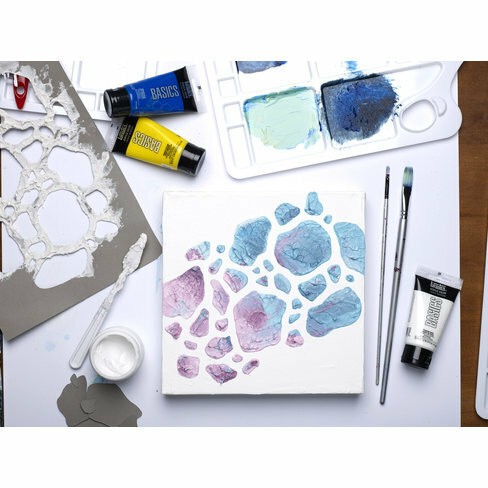 Bring your artwork to life. 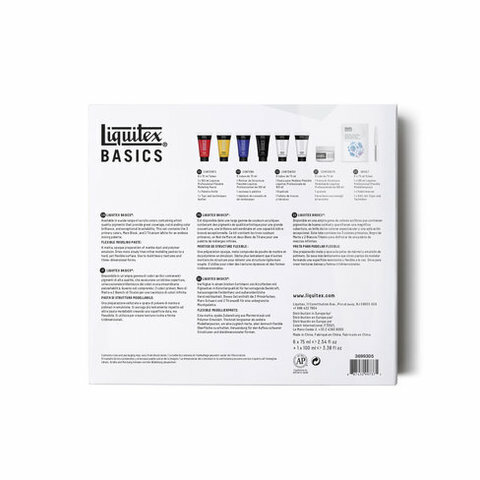 Retains peaks and brush strokes; ideal for learning color theory and color mixing. Perfect for beginners or experts. 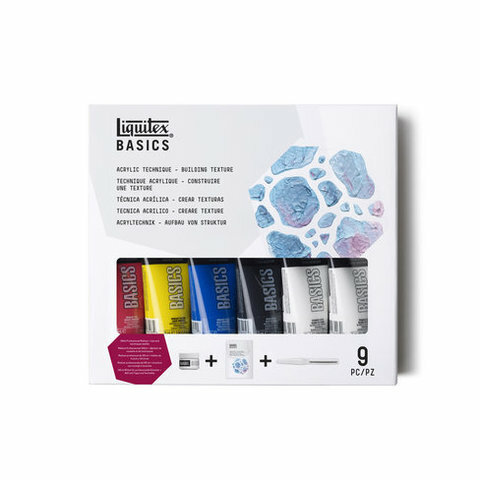 Contains 6 2.5-oz/75ml tubes (1 Primary Red, 1 Primary Blue, 1 Primary Yellow, 1 Mars Black, 1 Titanium White), 1 3.38-oz/100ml Professional Modeling Paste, and 1 BASICS palette knife. 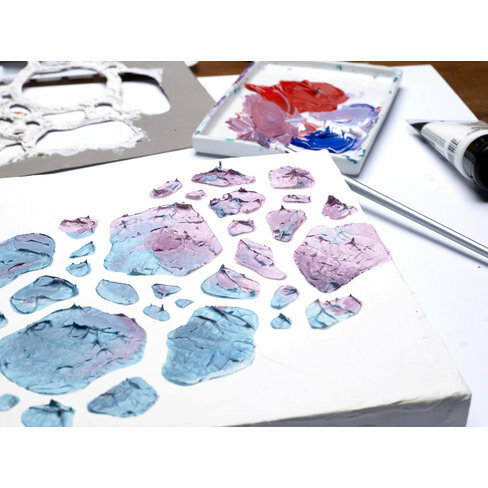 Modeling Paste is made of marble dust and 100% polymer emulsion; used to build heavy textures. Lightweight, non-toxic; dries to the hardness of stone, and can be sanded or carved when thoroughly dry.